Hormonal imbalances occur when there is too little or too much of a hormone in the bloodstream. 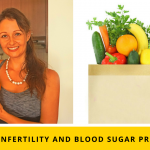 In the traditional medical world, when it comes to hormonal imbalances with health issues such as PCOS, infertility, thyroid disorders, adrenal insufficiency, and others, the giving of medication is the standard approach. However, if the root cause is not addressed. Imagine if a house goes on fire and you put the fire out, yet fail to look for the cause of the fire. What caused it to catch fire in the first place? 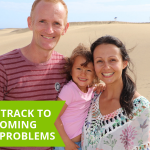 So a great way to overcoming hormonal imbalances is by addressing the root cause, because just taking medications won’t necessarily help you deal with a much bigger problem that you may be facing. Imbalances in your organs – liver, gut, etc. Hormone imbalances can be one of the symptoms of a poor functioning liver, gut, adrenal glands and other organs. For example, your liver has many different functions. This includes detoxification and conversion of the hormone T4 into the active T3 thyroid hormone. So when women have a low functioning thyroid with a low T3, it’s important to address the health of the liver. The liver is one of the biggest detoxification organs in the body. 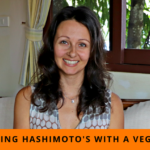 If you have fatty liver disease, or If your liver – your detoxification system – is constantly being bombarded with more and more toxins, then unwanted hormones are not excreted properly. Instead, they recirculate throughout the bloodstream, causing hormonal imbalances. Your gut bacteria also have a large role to play when it comes to your hormone levels because they can directly affect them. These bacteria both produce hormones themselves and are affected by the hormones that our own bodies produce as well. Estrogen is made primarily by your ovaries. It then circulates through your body to your uterus and breasts and other organs, until it reaches your liver where it’s inactivated. Inactivated estrogen is then supposed to be excreted from by your body through your poop. Yet, if your gut is out of balance, only some of the estrogen may get excreted from your body with the rest remaining to negatively affect your estrogen levels, making them rise too high, or drop too low. Evidence suggests that estrogen dominance increases your risk of breast cancer – which is the most common cancer among women in the USA. Estrogen dominance can also lead to uterine cancer, autoimmune diseases, and infertility. 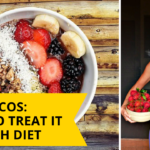 With the keto diet we are looking at a diet that consists of 70-80% of your daily calories coming from fat, with approximately 5% from carbohydrates and the rest from protein. Bear in mind the SAD diet is about 35% fat, so you can see that the keto diet is a very high fat diet. 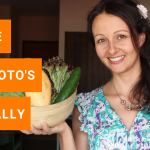 Now let’s go through some of the very common myths here about the keto diet and the reasons why many people actually try this way of eating. 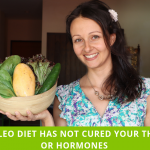 Many people following a keto diet may be totally unware that there are many adverse health effects that can occur due to consuming a keto diet, including hormonal imbalances. There is a well-documented report of the death of a child due to having acute pancreatitis caused by eating a ketogenic diet. Discover the other root causes of hormonal imbalances in the video above. During our training, we’ll will walk you through the 5 steps our clients use to overcome hormonal imbalances and drop 10-50 lbs of extra weight … whilst never restricting themselves of carbohydrates and sugar. P.S. 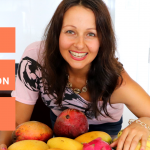 If you want us to help you reverse your hormonal issues, reduce or get off medication and release weight naturally – schedule your free health discovery call with us now by clicking here. 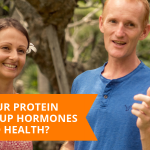 Is Your Protein Messing Up Your Hormones And Health?